Ready to Solve Your Toughest Storage Challenges? 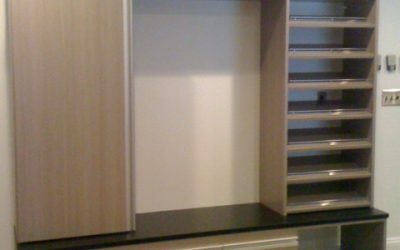 Hoosier Closets works with customers to create custom storage designs that address their unique storage and organization issues. Whether you want to expand your storage, utilize an odd-shaped space or better organize a room, we can help. Here are some recent examples of customers we have helped by providing clever designs and installation for their situation.